As a parent, it may be hard to understand the appeal of video games. Why do your kids like them so much? This month, we bring you some useful insights that will help you understand your little gamers better. Here is our list of five things every parent should understand about video games. Online games, especially team-based tactical or strategy games, require teamwork. Once an online match has started, the gamer can’t press a button to pause the action. By joining an online game, the player is making a 15-20-minute commitment to the rest of the team. Other players are counting on your child to stick with the match until the end. Because ending a game negatively impacts other players, most games feature penalties for leaving in the middle of a match. Sanctions include loss of progress, standing, and other statuses. Understand this and talk to your child about time commitments and priorities. Make sure that they are aware of their responsibilities for that night before they begin gaming. Depending on the size of the game, loading times for video games can be anywhere from instant to ridiculous. If your child is limited to an hour of total game time, those loading times can eat into their precious gaming time. Loading time is especially slow for online games. Your child could be sitting around for several minutes waiting for a single match to load. Don’t be surprised if an hour goes by and leaves your gamer unfulfilled and hungry for more. It’s not easy keeping adult games away from kids. While the ESRB has set guidelines for how games should be marketed, you shouldn’t depend on ratings as your sole indicator when deciding if a game is age-appropriate for your child or not. Don’t rely on ads and ratings. Instead, consider watching game reviews from real life people or try playing the game yourself to determine if it’s appropriate for your child. This experience will provide insight, help you get to know your child better, and it makes for an excellent bonding activity with your child. Video games have received a bad rap with many parents. Various lawyers and media sensationalists have vilified video games as offering little more than “brainless violence.” While this is true of some games, others can offer many surprising benefits for your child. Video games improve your child’s hand-eye coordination, heighten response time, and teach them about teamwork and strategy. Contrary to popular belief, video games are actually a very engaging activity, unlike passive activities like watching television. Many parents believe that video games are anti-social activities. This belief isn’t entirely accurate. Online games actually feature a large social community. They allow gamers to connect and socialize with their friends and make new ones. Even single player games can have a social aspect in the form of metagaming or discussing gaming mechanics. Using knowledge of a game’s mechanics and structure as a topic of conversation increases the common ground for people from different walks of life. If you are the parent of a self-proclaimed gamer, consider choosing GameTruck Jacksonville for their next birthday party or school event. At GameTruck Jacksonville, we offer a variety of age-appropriate game titles, so your kids can have a blast and you don’t have to worry about keeping them safe. 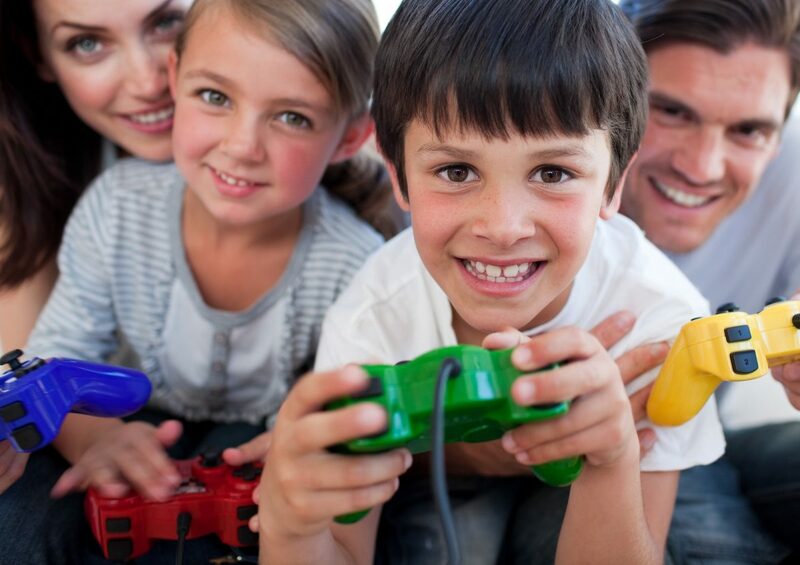 Let us create a memorable gaming experience that your kids and their friends will be talking about for weeks. For more information or to receive a quote, give us a call at (866)253-3191!